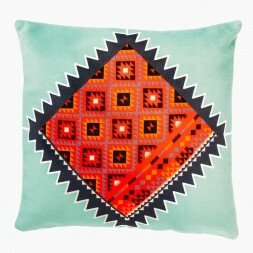 Each design was inspired by various elements and components of a region or a tribe from Iran or Afghanistan. 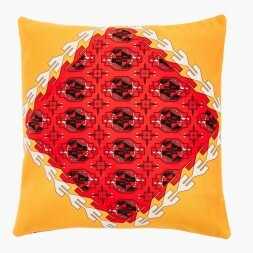 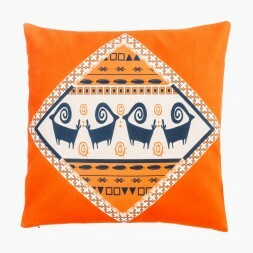 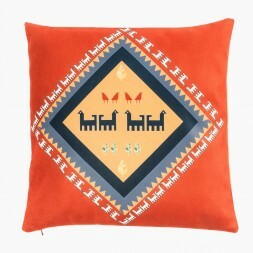 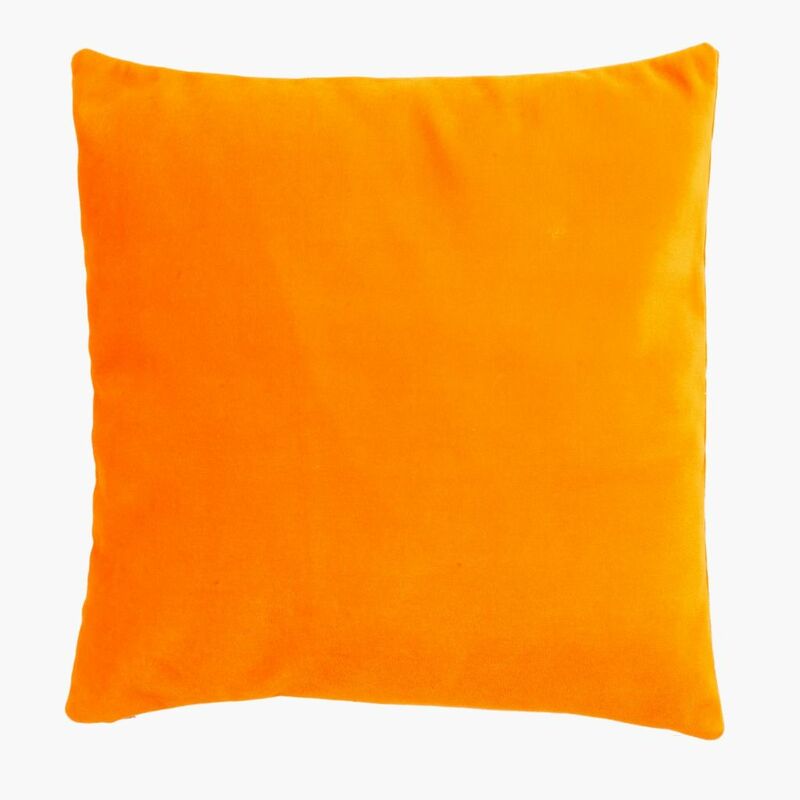 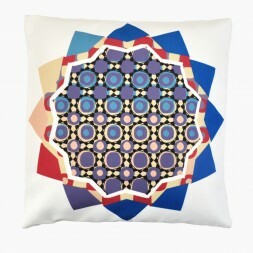 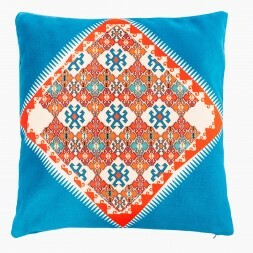 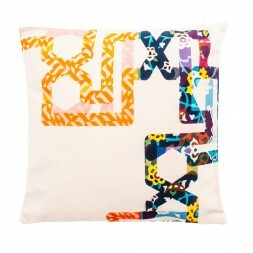 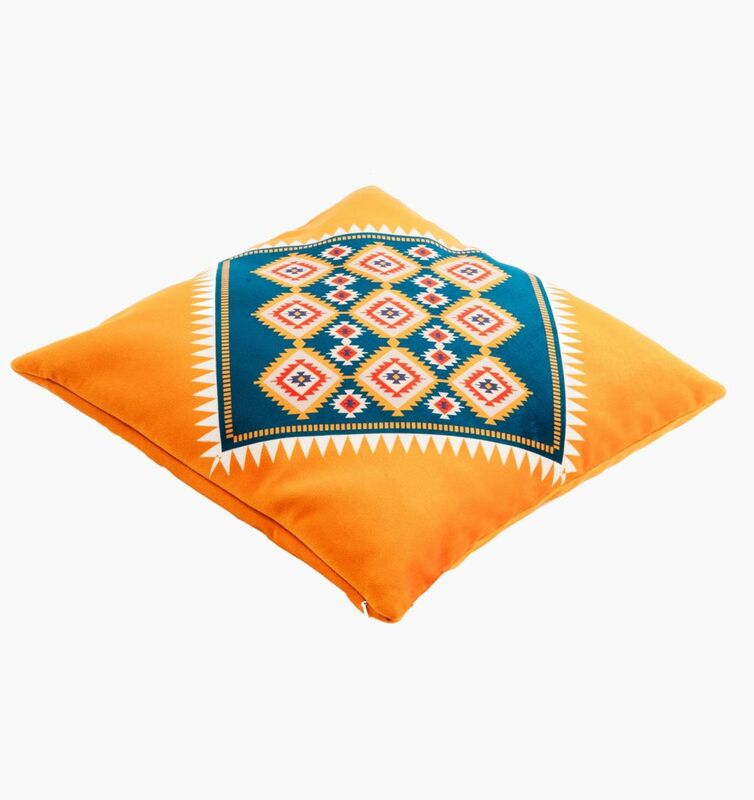 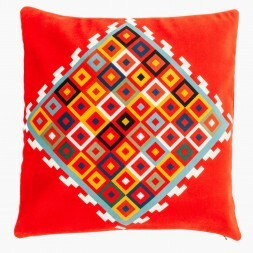 This cushion has been inspired from Kilims of Azerbaijan, a region in northwestern Iran. 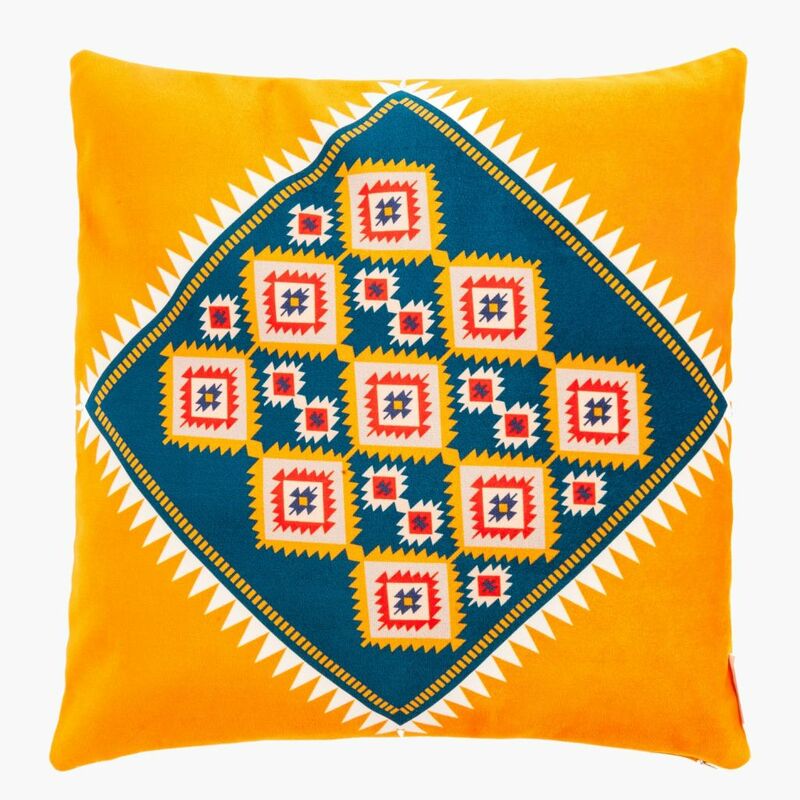 The motif used, is 'sormeh dan' motif (sormeh: a type of ancient cosmetic to embellish eyes; dan: holder, wooden or metal tube; Sormeh dan: cosmetic holder) made by diamonds and triangles, abstractly resembling one of elements used by the women of this region.